Is your phone bill way too high? Do you want to change your mobile plan but are confused as to which one to choose? Let us help you grab this opportunity! Now’s the time to shop because there are many promotions that are currently being offered. So, let us help you save time and money and list for you some of the best cellular plans currently being offered in Montreal! As usual, we have optimised our results for 3 kinds of consumer usage patterns. Choose the one that corresponds to you the best to find the best plan adapted to your needs and your budget. 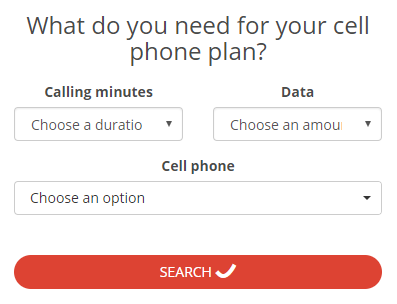 If you use your phone mainly to call and text, then the plan offered by Public Mobile is the one you need ! For only 25$ per 30 days, you get unlimited Province-wide calling and texting. This plan is a prepaid one. The best light use plans ! Many good deals on cellular plans are now available. Koodo, Fido et Virgin are offering you 2 GB on their $45 per month plans. The best cellular plan for intense usage ! Are you are always connected and needed more data ? Take advantage of this offer from either Koodo, Fido or Virgin, with 8GB of data offered at 56$ per month. Bonus of 2 GB on 1 GB to 10 GB Share everything. AB / BC / ON / Atlantic Region. Bonus data stays on for 24 months. $ 10 x 12 month billing credit for BYOD Share Everything plans, primary lines only. AB / BC / ON / Atlantic Region. On Share Everything Provides 1 GB up to 10 GB. Google Home Free ($ 179.99) with the purchase of a Google Pixel, Pixel XL or Pixel 2, Pixel 2 XL camera (all sizes) on 2 year Smart, Premium or Premium + 10GB packages Share Everything. One unit per account. Available until January 3, 2017 or while supplies last. Samsung Galaxy S8 for $ 0 on some two-year plans (Premium / Premium +). iPhone 8 to $ 0 (Premium / Premium +). Google Pixel 2 64GB to $ 0 (Premium). More info on Rogers offers for Boxing Day. Fido’s offers for Boxing Week begin with hardware discounts on contract for a number of devices. The equipment offers launch on December 21st and take place for a “limited time”. 2GB data bonus on all 1GB and above (Pulse and non-Pulse) packages. ON / BC / AB / Atlantic Region. New activations and upgrades at all grant levels, including BYOD. $ 10 X 12 months credit of 1 GB and over (Pulse and non-Pulse). BYOD only. New activations and upgrades. 2GB data bonus on all Pulse plans of 5 GB and more. MB / SK. New activations and upgrades, all levels of grant, including BYOD. 2GB data bonus on all 6GB and 8GB Pulse plans. QC New activations and upgrades, all grant levels, including BYOD. More info about Fido offers for Boxing Day. Telus starts Boxing Week with $ 0 smartphones and up to 50% off select accessories. 12GB promotional plan starting at $ 140 per month BYOD. $ 0 Samsung Galaxy S8, starting at $ 95 per month on a Premium plan Over 2 years. $ 0 iPhone 8, starting at $ 95 per month on a Premium Plus 2 year plan. $ 0 Pixel 2, starting at $ 85 per month on a 2-year Premium Smartphone plan. $ 0 iPhone SE, starting at $ 75 a month on a 2 year plan. $ 0 Essential phone, starting at $ 85 per month on a 2-year Premium Smartphone package. $ 0 IPad (32 GB) on a 24-month Telus Easy plan. More about Telus for Boxing Day. 2GB data bonus on 1GB, 2GB, 4GB, 6GB and 10GB plans for new activations and upgrades. $ 0 Samsung Galaxy S8 on Premium Smartphone Plus plans for two years. Samsung Galaxy Tab E $ 0 on some two-year packages. $ 0 iPhone 8 on Premium Smartphone Plus plans for two years. $ 0 Google Pixel 2 on some two year plans starting at $ 85 a month with data. Find more details and promotions here. More about Bell’s offer for Boxing Day. In true Virgin style, it offers ‘Unboxing Week’ offers. Plan offers: 2GB of bonus data on BYOD, Silver, Gold and Platinum plans with 3GB or more of data. $ 0 iPhone 6 on a two-year Gold plan. $ 0 Samsung Galaxy S8 on a two year Platinum plan. $ 0 Moto Z2 Play on a two-year Silver plan with a free Moto projector mod. $ 0 LG Q6 on a two-year Gold plan with a $ 150 bonus gift. $ 0 Samsung Galaxy A5 on a two-year Silver plan with a $ 150 bonus gift. $ 0 LG G6 on a two-year Gold plan. $ 0 SE iPhone on a two-year Gold plan. More about Virgin Mobile’s Boxing Day offer. – 2 GB of bonus data on BYOD, Tab Small, Tab Medium and Tab Large plans starting from 1 GB. – $ 0 Google Pixel 2 on a Grand Plan tab. – $ 0 LG Q6 on a medium miter plan with a $ 150 bonus gift. – $ 0 LG G6 on a medium miter plan. – $ 0 Samsung Galaxy A5 on a Medium Plan tab with a $ 150 gift bonus. $ 0 iPhone 7 on a Grand Plan tab. – $ 100 Samsung Galaxy S8 on Grand Plan tab. More about Koodo’s offer for Boxing Day. – A $ 200 registration credit for new wireless activations on a two-year voice and data term. Available until January 2nd. – $ 0 iPhone 8 on a term of 2 years + $ 10 / month with more prices. 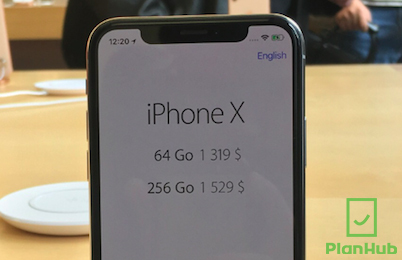 – $ 299.99 iPhone X over 2 years + $ 3 / month with Fast Forward. – 0 LG V30 on a 2 year term + 10 $ / month with more prices. – $ 0 Moto Z2 Play on some 2 year plans with mod. – $ 0 Samsung Galaxy S8 on a 2 year term + $ 5 / month with more prices. More about Sasktel’s offer for Boxing Day. – 2 GB of bonus data on some plans from 2 GB. – Save $ 5 a month when adding a line. – All smartphones $ 0 down (not a promotion, it’s the regular price of the carrier by easyTab). – Free Samsung Gear VR with controller ($ 199.99 value) with activation or upgrade to a Samsung Galaxy S8 +, S8 or S7 with easyTab on a Data Plus plan. – Save up to $ 200 on select Samsung smartphones with easyTab. – Save 30% on “discounted” smartphones. More about Eastlink offers for Boxing Day. The regional carrier in Quebec has some gift offers as of December 26th. – Sony Wireless Earphones ($ 119.99 value) available with the purchase of Sony Xperia XA1 or XA1 Ultra with a two-year contract and a minimum monthly service fee of $ 59.95. – Free Google Live Case ($ 65 value) with the purchase of Google Pixel 2 on a two-year contract. More about Videotron for Boxing Day. LG’s new smartphone, the LG V30, will be available on the 20th October. It will be the brand’s highest-end smartphone. 16 megapixel camera, with the fastest camera lens to date on a smartphone. In Canada, the V30 will only be available in “Cloud Silver” color. $ 499 from $ 60 / month with a 2 years contract. $ 299 from $ 70 / month with a 2 years contract. If you are a Fido client you should text right now the word GIFT to 2020. You have until October 24th. Indeed, to celebrate its 20th birthday, Fido offers its clients a possibility to obtain 500 MB of mobile data, for free, for a period of 2 month. So 1 GB in total! Always good to consider, specially since it’s free! Fido also mentions that other gifts should follow, starting October 25th. There’s a new offer at Fido, unlimited music streaming with the Spotify Premium service, free with all Pulse Plans. But careful, is there a catch? Is there a risk that this new service becomes more expensive in the long run, if you consider the overcharge fees for going above your data limit? 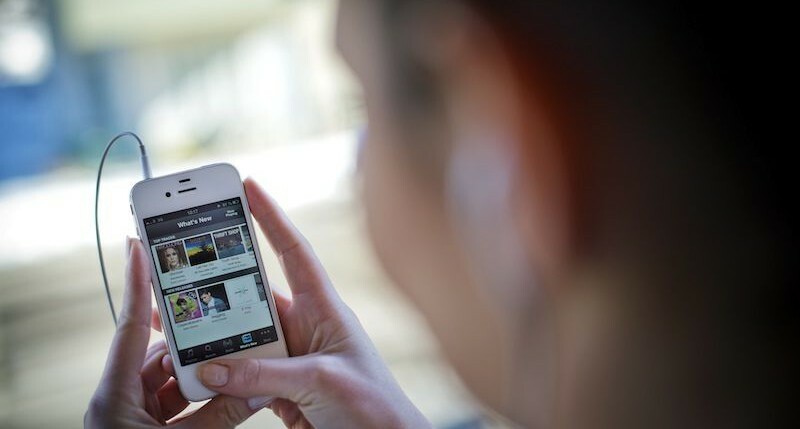 How much time can you go streaming music without busting your phone plan? We answer all this, by showing you 3 traps to avoid with the Fido Spotify Premium service, or any other streaming service that you might already use at Rogers, Telus, Videotron, SakTel, Wind, etc.